As a resident of the South End, Marleen Nienhuis tries to bike more than she drives, but she needed her Volvo wagon to haul wreath-making supplies to the holiday sale that underwrites the Garden Club of Back Bay’s work maintaining trees along the street. 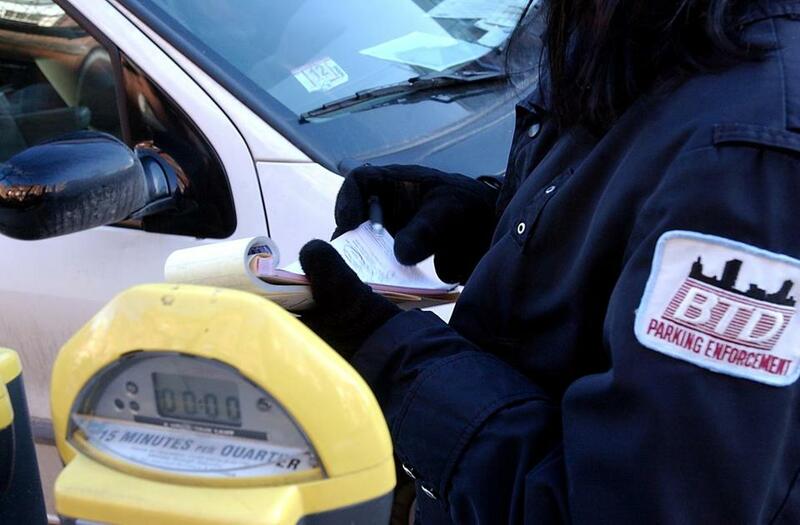 When she returned to the car with time on the meter, she said, she was surprised to find a ticket tucked under the hood. Though she accepts occasional parking tickets as a cost of city living, this one gnawed at Nienhuis enough to prompt a call, raising a good question about Boston parking rules: Can you be ticketed for parking at two spots in the same neighborhood on the same day? Savvy parkers know that feeding the same meter is not allowed. In other words, if you park at a two-hour meter, plug it full of quarters, and run back later to drop more coins into the slot, you still run the risk of a ticket for exceeding the two-hour limit even if the counter never ticks down to 00:00. But what if you move to a nearby spot? But what about parking around the corner? Not a problem, Boston Transportation Department spokeswoman Tracey Ganiatsos said. I conferred with Nienhuis, who remembered that she had visited the Garden Club fund-raiser two days in a row and that she might have mixed up the easily forgettable details of where she parked and when. She conceded there was a chance that this might be more of a garden-variety, overtime violation. In other words, a new block begins at each intersection, regardless of length. But be forewarned: The opposite side of the street is considered the same block. So if you’re parking on, say, Newbury Street and want to stick around after two hours, you’re out of luck if you see an open spot across the street but in luck if you see one past the next stop sign. But if you really want to hang around, the city would prefer if you parked in a garage, took the T, walked, or rode your bicycle.